Federal investigators say a small plane crash that killed a 90-year-old pilot near an eastern Iowa airport was likely caused by the pilot's decision to allow his large dog to fly in the passenger’s seat, the National Transportation Safety Board (NTSB) determined in a report released Monday. 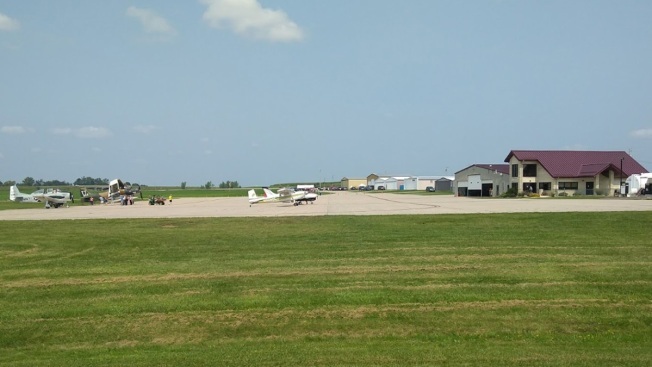 The final National Transportation Safety Board report says investigators don't know for certain what caused the single-engine aircraft to go down in a cornfield in June 2017 near Monticello Regional Airport. However, the report says, the dog that weighed about 75 pounds likely came in "contact with the flight controls during landing, which resulted in the pilot's loss of airplane control." The dog, whose name and breed were not identified by the NTSB, survived the deadly crash. A witness at Monticello Airport at the time of the crash saw the dog running out of the cornfield after the crash, NBC News reported. The NTSB report says the plane was in good working order before crashing. Pilot Jerry Naylor of Scotch Grove, Iowa, was killed. An autopsy showed he died of multiple blunt-force injuries.